Latest and brand new Canon R Mirrorless camera hire is the first step in Canon’s mirrorless evolution. 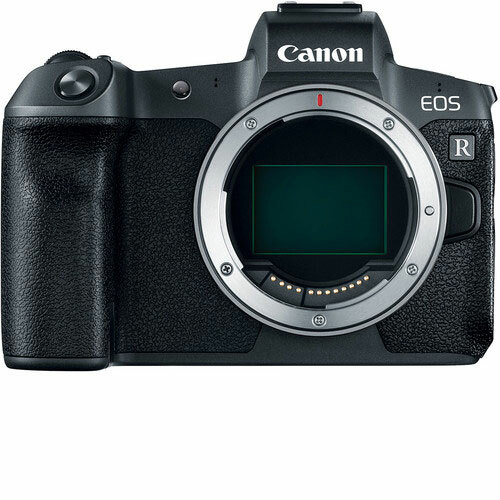 The Canon R mirrorless camera hire pairs a redeveloped lens mount and updated full-frame image sensor for a unique and sophisticated multimedia camera system. The whole system is revolving around the new RF lens mount. The EOS R is equipped to work with a new series of lenses and optical technologies. The Canon R Mirrorless digital camera can also work with Canon’s wide range of EF or EF-S lenses using the Canon Control Ring Mount Adapter EF to R, which is also available for hire. Focusing on the camera itself, the Canon EOS R camera features a high-resolution 30.3MP full-frame CMOS sensor along with a DIGIC 8 image processor. The combination of these technologies offers a wide sensitivity range up to a native ISO 40000. Furthermore, a fast continuous shooting to 8 fps, and UHD 4K30 video recording. In addition to imaging, the sensor also facilitates an advanced Dual Pixel CMOS AF system, which uses 5655 selectable points for quickly and accurately acquiring focus. This focusing system is also sensitive down to EV -6 for working in impressively dark conditions. The AF system of Canon R mirrorless camera hire is also perfectly matched to the UHD 4K video recording capabilities, which are also rounded out by Movie Digital IS to minimize camera shake, built-in Canon Log gamma for a greater dynamic range, and 4K 10-bit 4:2:2 output over HDMI for even greater color control. Canon EOS R Mirrorless digital camera hire is available for rent or hire from RENTaCAM Sydney.